BinaryOptionsNow – The corporation of Starbucks (NASDAQ: SBUX) has recently announced that it will aquire the rest of the Starbucks Japan. The company started in 1995 with a single location and now with more than 1,000 stores throughout Japan. Roughly 60.5% of the stocks will be reacquired by the Starbucks Corporation. The revenue of Starbucks Corporation has doubled and profit has increased several times in the last decade. The company is planning to use a tender process of two steps in order to take control of the Starbucks Japan. The company says that this process will help in innovation and progress in Japan. It is said that there will be growth of the Starbucks corporation in multiple channels across Japan through this acquisition. The total size of the acquisition is around 1,000 stores in Japan will be covered after this deal. All the branded retail stores of Starbucks in Japan are operated by Starbucks Japan, which is a joint company of Sazaby League and Starbucks. 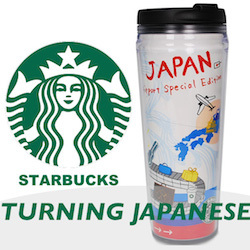 With challenges faced and overcome, Starbucks Corporation has seen a great development in Japan. Starbucks was approached by Sazaby this summer for the purpose of the sale of their shares to Starbucks and exiting the business way before the retail rights expire. The transition process will be done in two steps that will be started on September 26 with the first step being the tendering of shares of Sazaby. Sazaby owns a total 39.5% of the total stocks and a rate of 965 yen per share will be used to sell these shares, which is when converted into U.S. dollar and equals about $100 USD per share. After that, the second step will be implemented and the remaining 21% interest will be acquired at the rate of 1465 yen per share from the Japanese Public who own percentages. It is expected that in the first quarter of 2015; the deal will be closed. $505 million and $408.5 million will be paid by Starbucks in the first and the second step. The capital value of Starbucks in the market is $55.55 billion and the combined value of the purchase is more than $900 million or YEN $99.5 billion for comparison. Starbucks has started focusing more on the Asian markets as only 6% of the company sales is provided to Starbucks by Asian market. After the acquisition and full control over Starbucks Japan, it is made clear that the company has started to focus on increasing their profits and revenues as Japan is their second-largest retail market for Starbucks. It is still not clear by how much, but the company’s profits, sales and revenues will be increased by this acquisition. The Starbucks Corporation, is an American based company serving coffee to millions globally. Based in Seattle, Washington. Starbucks is the largest coffee company in the world with 23,305 stores in 65 countries. 20 years ago in Tokyo, Japan the current CEO, chairman and president of Starbucks, Howard Schultz decided to open the first Japanese Starbucks store. It was the first store outside North America but Howard knew the market of Japan very well, he and his partners were predicting on employing more than 25,000 people who were going to serve coffee to millions of customers at more than 1,000 stores, and that is exactly what happened. Starbucks has started focusing more on the Asian markets even though only 6% of the company sales is provided to Starbucks by Asian market. After the acquisition and full control over Starbucks Japan, it is made clear that the company has started to focus on increasing their profits and revenues as Japan is their second-largest retail market for Starbucks. It is still not clear by how much, but the company’s profits, sales and revenues will be increased by this acquisition.